The video game flick took in $28 million in its opening weekend. Lionsgate/Summit saw its $100 million adaptation of Orson Scott Card’s Ender’s Game win the box office battle opening weekend. 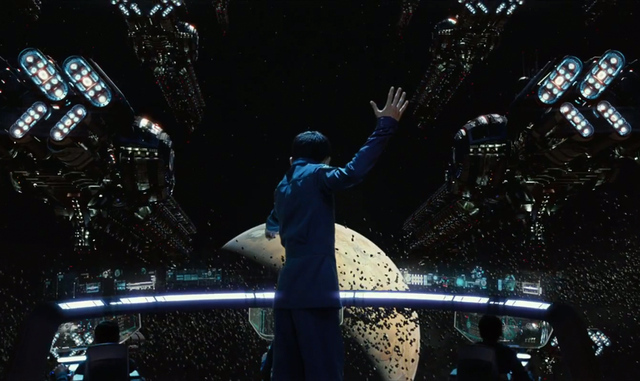 At 3,407 theaters, Ender's Game took first place with a respectable $28 million. The film stars Harrison Ford, Viola Davis, Asa Butterfield and Hailee Steinfeld and features cutting-edge Battle School video game sequences. According to distributor Lionsgate/Summit, the movie's audience was 58 percent male and 54 percent over the age of 25. The bestselling novel from 1985 still connects with audiences today. If the film can win over international audiences it may pave the way for sequels (there are additional books in the series). But Ender’s Game will face off against Thor: The Dark World and The Hunger Games: Catching Fire in coming weeks, which could be a much tougher battle than the aliens in the film. Huge update to morph to! See what this update brings to the mobile game.